On April 12th 1945 around 1500 hours 1st Platoon of the Recon Company 643rd Tank Destroyer Battalion left the hamlet Wespen driving on the secondary road leading east into the city of Barby, just as the Platoon approached almost the outskirts west of Barby three jeeps and two (M8) Armored cars received a heavy burst of fire from out the city outskirts, wounding quite a few men and later proved 5 men were killed, William was a driver of one of the M8 and got seriously wounded that day....!! William Jr. message on my Guestbook. My Father was in the recon unit that was ambushed at Barby Germany on April 12,1945. 5 men were killed and several others including my Father were wounded. After the war he attended a number of 643 TD Battalian. I would appreciate if there are GPS positions availible at the attack site in order to view via google earth. I would like to thank the Dutchman who honored the men of this Co C recon unit. I've been searching for infomation on this action on April 12,1945 at Barby Germany. My Father passed away in 1989. Someday I'd like to pay homage at that location. I've attempted to respond to the Dutchman who planted the flowers at the attack site, but have been blocked as I do not know the Dutch language. My Father lost very close friends in his Recon unit that day and his scars of wounds were quite severe. Ben, I finally saw the site of the ambush and it took me by some surprise. I always pictured the site being somewhat outside the boundaries of Barby in the country side, perhaps post war development expanded with housing into what was open land. However you are the acknowledged expert of that engagement! My Father was a corporal and driver of one of the two M-8 armored cars in the recon unit that day, the other vehicles were 3 jeeps. The unit had a new Lieutenant and he stopped to check their location and determine how to proceed, many of the unit also were out of their vehicles to stretch their legs and check on their vehicle. My Father always thought they were hit by mortar fire and small arms fire. My thought that the weapon greatly used by German units could have included Panzerfaust's as well. He was hit by shrapnel and by bullet and was seriously hurt and 5 men were killed and I cannot find out how many may have been wounded in that action. He was on the ground bleeding heavily and had a bullet hole in his helmut where the bullet entered and left through the same hole. He layed there some hours until the regiment arrived and was passed over originally as the troops saw a bullet hole in the helmut and thought that he was dead. His best friend Sgt. 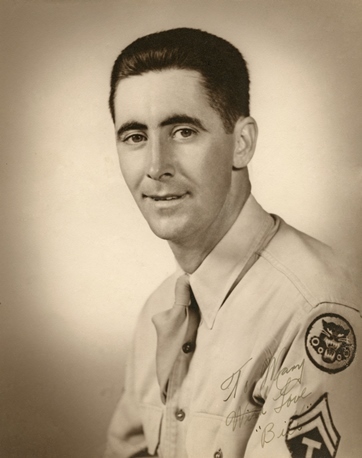 Bill Ropple was killed along the other 4 KIA they and others were from the same Boston, Ma. and really grew tight with each other. When the medics discovered he was still alive he was sent to the rear for treatment. He did not know what had happened fully until years later. He was brought to England and the to the States. He lost his possessions and souvenirs that he accumulated with others such as Lugers and some submachine guns as well. He was hospitalized for some months and deemed to be able rejoin the unit as the need for troops for the invasion of Japan was to be expected. He and my Mother were married while he was on medical leave. Fortunately, Japan surrendered and he and many millions of others did not have to go to war again. Dad was awarded the Purple Heart for being injured and had three battle stars on his jacket lapel-France, Ardennes, and Germany. I will in the near future tell you some more about the Tank Destroyers Battalions and of the miss use of them during the war by the Army. Ben - I received your e mail so we can get mail from each other. We were spared as Sandy went left off the Eastern seaboard earlier than expected as we were the original target. We did up here get a "nor'easter" for three days of heavy rain and winds of up to 55/MPH/KM/90. I tried to fill out your request some time ago but there was very little information after the passing of my parents and other relatives. He married Mary Smallcombe in July of 1945 and I was born in June of 1946, three wondeful sisters followed over the years. We lived in Randolph, MA. for many years and our family was a happy one if not wealthy, I don't think I and my Sisters couldn't have had a better growing up in our lives. My Father had a reminder of April 12, 1945 every day of his life after that day. He had a big scar on his right shoulder starting on the front over to the back and a smaller scar on his head where a bullet or shrapnel entered his helmet and went around inside and exited through the entry hole! He was one of the lucky 10 that did not die that day to the 643'd Company C Recon. Initially he lay wounded and following troops thought he was dead for some time until a medic came by to tag the dead and wounded After the war he became a Boston, MA. 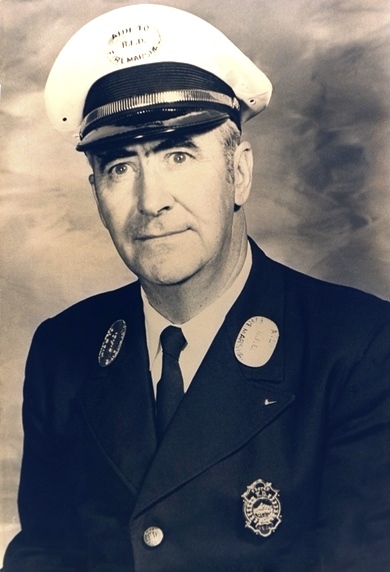 Firefighter for over 30 years and retired in the early 80's and passed away in 1989, my Mother also served in the Women's Coast Guard during the War and they are resting together at the Veterans section of Knollwood Cemetary in Canton MA. with other family members from my Mother's side.Thank you again for your opening a door I had looked for years and your gratitude for the sacrifices of American soldiers to free the tyranny of Nazi Germany. 11-11-2013, E-mail from Bud..... Subject: I forgot this anecdote! Just getting a memory from a 643 Reunion in the 80's and I thought I'd share it with the both of you. I don't know the date or location of the event, but I do know that it was corroborated by a few ex 643 members. It would seem that the 643'd saw a liaison/spotter airplane L4 (Piper Cub or Stinson aircraft-USA) was flying in the 643 area some of the Battalion thought that the aircraft was German and started to fire at the small plane very briefly! Some one gave the orders to quit firing at the small artillery spotting aircraft as it was ours! The shooting then picked up again when all Hell broke loose when the 643rd saw a airplane shooting at the L 4 spotting (USA) aircraft. Apparently a Messerschmitt fighter 109 was chasing the small aircraft and firing at it. When the discovery was made, almost every 50 caliber machine gun opened fire at the ME 109 from the 643rd with all they had. I don't think the 643rd had much if any experience at being an antiaircraft group! The ME109 went down and crashed nearby and some troops went over the wreck and saw that the German pilot was dead. These spotting aircraft were highly valued targets as Artillery would be shortly forthcoming at the Germans. The pilot of the "Grasshopper" must have had some mixed feelings about the event, but was alive and well after landing. "all's well that ends well." You can confirm this event by checking the combat records of the 643rd-they had a confirmed kill.